BT's Neil McRae joins the on-stage panel at Huawei's Global Mobile Broadband Forum. Of course, this is just one executive's viewpoint, but McRae is a straight talker and knows the impact of sharing his views in public. This is clearly his way of warning the other 5G radio access equipment developers that (in his view) they have lagged behind Huawei, which is aggressively targeting any and all 5G engagements in the markets where it is welcome. Having one supplier way ahead in terms of R&D and support services is not a good situation for the likes of BT (which owns the UK's largest mobile network operator EE) and other major operators, which will want a number of suppliers to be able to provide cutting-edge, innovative technology solutions for 5G deployments. 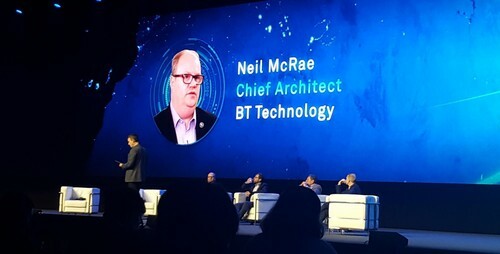 And as McRae was talking at a Huawei-hosted event, it wasn't too long before senior executives from the Chinese vendor were highlighting multiple advances that the company has made in integrating multiple technologies into small, power-efficient form factors, as well as in using artificial intelligence tools to improve operations and maintenance (O&M) processes and so lower operating costs for network operators. It was also obvious from the event that, despite some ongoing concerns about the security implications of deploying technology from Chinese suppliers, the support for Huawei from major operators across Europe, the Middle East, Africa and Asia is strong. And for McRae, it's hard to imagine he won't be getting a call from the Nordics in the very near future.